When I was a kid, Easter wasn’t as exciting as Christmas. On Christmas morning, we got lots of presents and could stay in our pajamas as we explored them. For Easter, we had to put on our church clothes. But there was always a basket waiting for us when we came out for breakfast. There were eggs that we’d colored along with a variety of candies and goodies. Unlike the Christmas stocking that always contained healthy things like nuts and fruit, the Easter basket contained chocolate! Mom did a wonderful job playing Easter Bunny. In addition to those high-caloric gifts, about the time I was in the first grade, there would be another gift that I was pretty sure was chosen by my dad. The first gift came the Easter after the Christmas I received my first rod and reel, one of those push button Zebco outfits. In the basket that Easter was a box with a fishing lure, a yellow jitterbug. 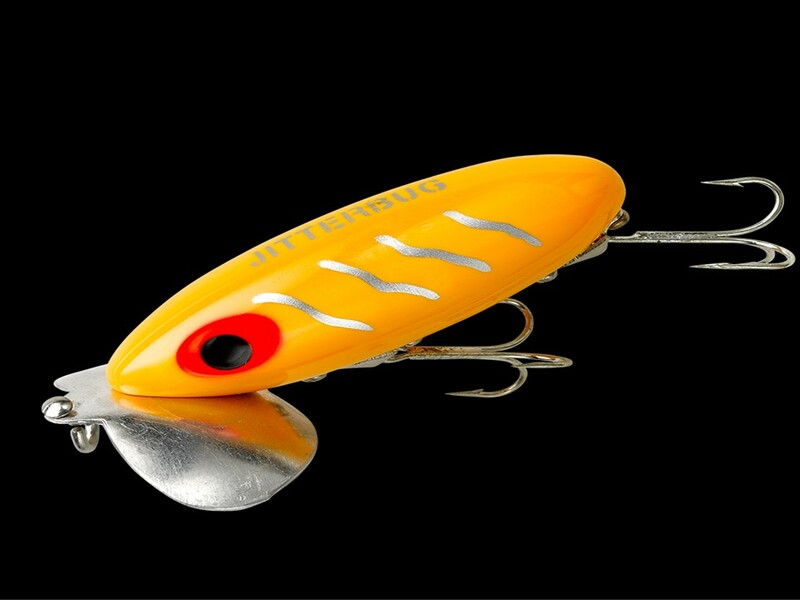 This is the type of lure that drives bass nuts at sunset and just afterwards, when they are coming up to the surface to feed. The lure wattles back and forth on the top of the water, moving a bit like a giant waterbug, and if there is a bass that’s hungry, watch out. The next year and for as long as I received Easter baskets, it would contain some kind of fishing equipment. One year, there was a collection of plastic worms and weed-less hooks, another year was a Repella or a Hopkins spoon or some other lure. In recalling this tradition, the giving of fishing lures, I have come to the conclusion that such gifts are appropriate for Easter. Not only did the spring weather bring out the fishermen side of our family, but the early disciples were fishermen. 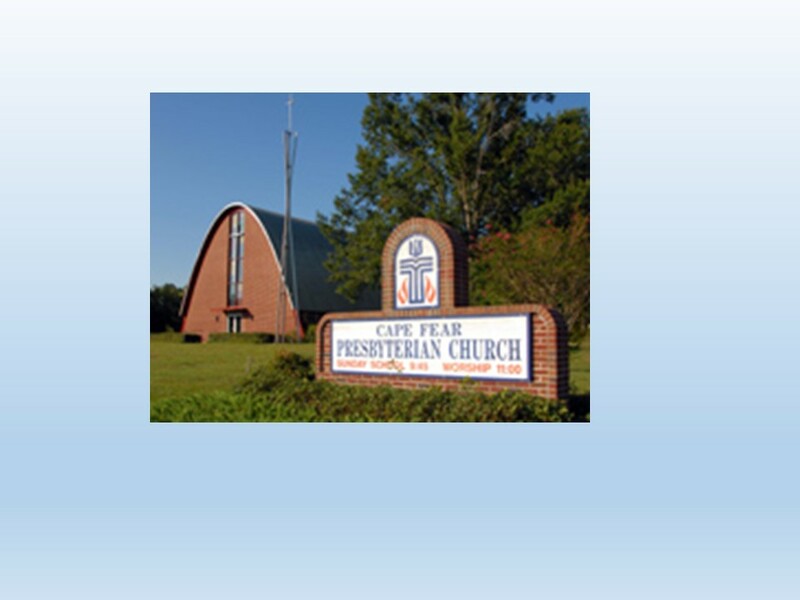 And Jesus called them to begin a new life, of fishing for people. They are to continue to cast out the good news, like we might cast a lure up against a log in the water, in the hopes that those who hear the message might be drawn in and experience the one who can give us new life. We, too, are to make such casts. Let’s hear the Easter story again, this morning we’ll be looking at John’s account. 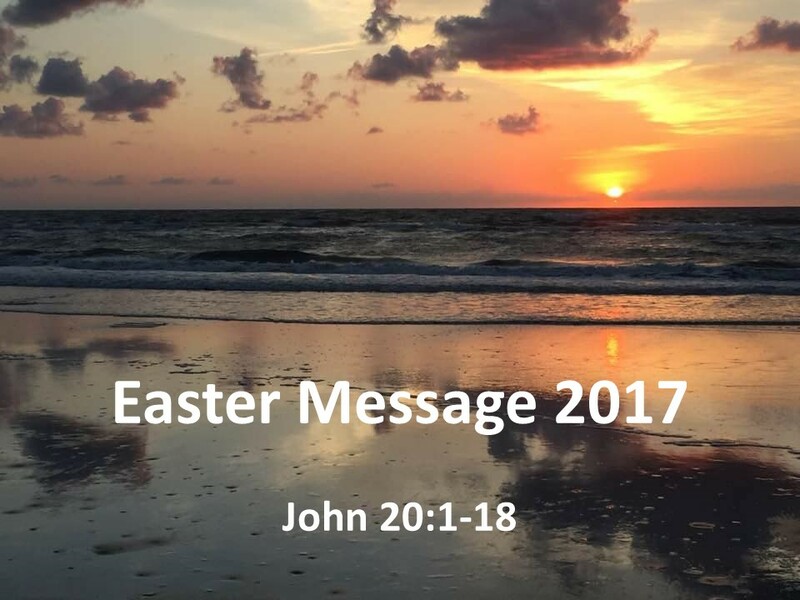 Read John 20:1-18. When I was in high school, I sat in the balcony of the church with friends. It was a place we could get away from our parents and, sometimes (or most of the time) joke around. But there was one Easter Sunday I recall, in which I was moved and wrote the only Haiku poem that I have ever deemed worthy to remember. I could never get that last line to five syllables, as traditional haiku requires, but I have always liked the poem. For you see, Easter signifies a new beginning, a new dawn, and glorious it is. We are no longer trapped in the old ways of doing things. God’s kingdom is at hand. Although we often forget this, that first Easter set us free to focus on what really matters. And every year, we should be once again reminded that Jesus died and lives and reigns eternally. And so shall we, if we believe. 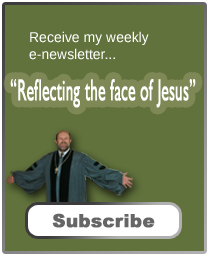 Most of us have heard the story of the resurrection from John’s gospel many times. But every time I read and study it, new things pop out. This section begins with three references to time: it was early, it was the first day of the week, and it was still dark. A new era is dawning. The world is waking to a new reality. Only those who are to become witnesses to this era are unaware. They’re not like the birds that sing so early in the morning as they anticipate dawn. 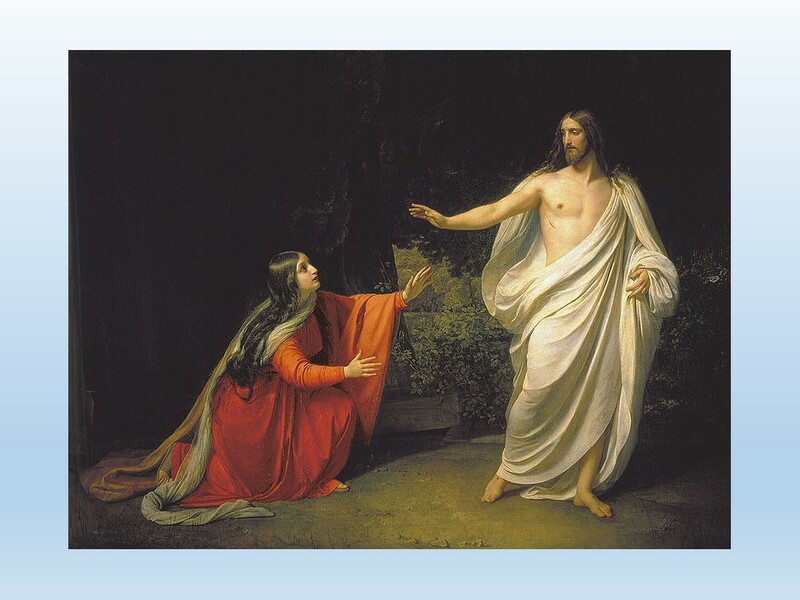 Mary Magdalene came to the tomb. John doesn’t tell us why. It sounds like she’s alone although her use of the pronoun “we” in verse two might indicate there were others with her. The other gospels give us the names of other women. 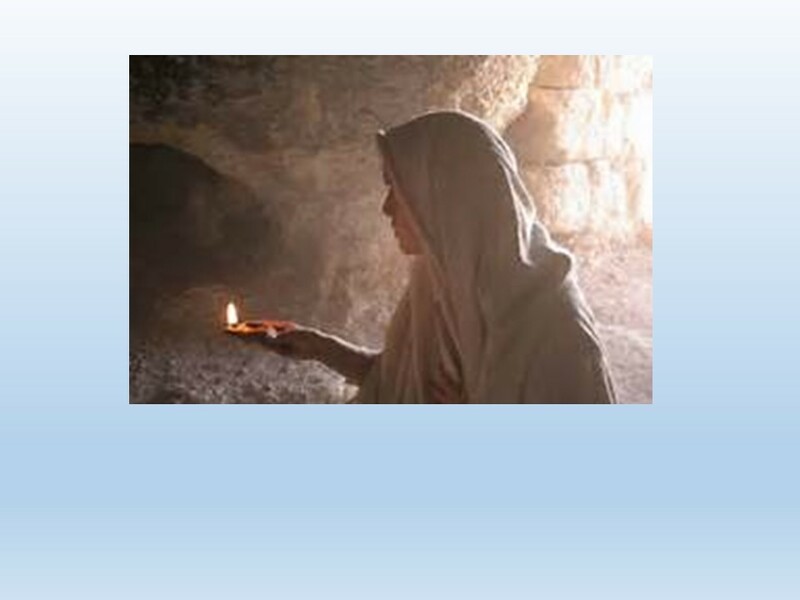 All four of the gospels speak of the women being the first witnesses to the empty tomb. Women, who had no legal status, were the first to know. And in John’s gospel, we see that Mary is the first one sent by Jesus to proclaim the good news. What does that tell us? Women have every right to proclaim the gospel! 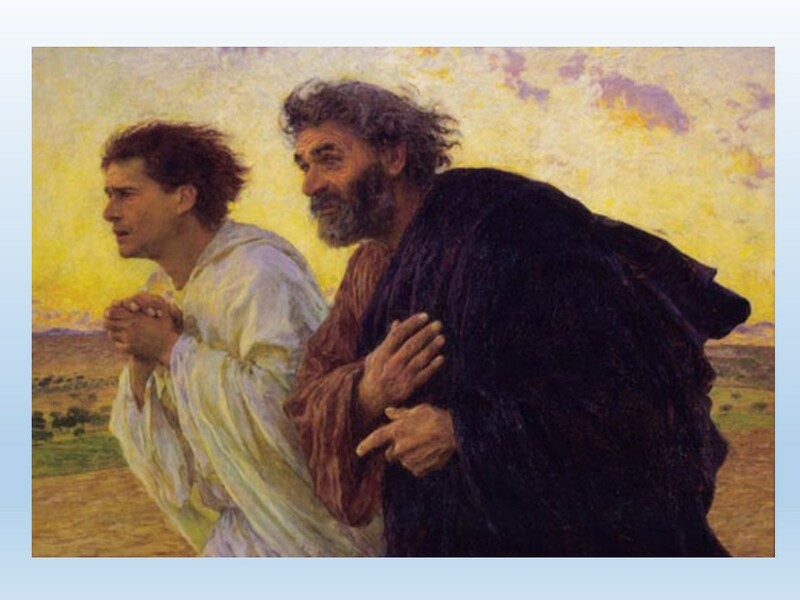 When Mary found the tomb open and empty, she runs to tell the disciples. There’s a lot of running that happens this morning. I can imagine her out-of-breath, crying out, “They have taken the Lord from the tomb.” Who took him? Religious authorities? Roman soldiers? Grave robbers? Mary doesn’t yet grasp what has happened. Neither does Peter and the other disciple, but they are curious. They race each other back to the tomb. The other disciple wins but pauses when he gets to the tomb while Peter barges right on in. Jesus is gone, but the linen wrappings that was used to cover his body are still present. Why? Some suggest that the wrappings were a clue that his body wasn’t stolen by some grave robber. They wouldn’t have spent the time unwrapping the body. The disciples check out the tomb and find it empty. We’re told in verse eight that the other disciple, not Peter, believed. But what did he believe? Did he believe that Jesus had risen? Or did he believe that Mary was right, Jesus isn’t here. Then they head home? What more can they do? Jesus is gone. I pretty sure they don’t fully understood what had happened at this point. Mary, on the other hand, sticks around. She’s troubled. But she doesn’t know what happened. When she gets her nerve up, she sticks her head inside and sees angels, one on each end of the bench upon which Jesus’ body had laid. Obviously, the angels weren’t present or weren’t visible to Peter and the other disciple. The angels sit in a manner to resemble the Ark of the Covenant, with the angels serving at the cherubim who sat on each side of the mercy seat. But Mary still doesn’t get it. She leaves the tomb and asks a man standing there, whom she assumes is a gardener, where they have taken the body. It’s only when Jesus calls her name that she understands. The same is true for us. She turns and cries out, Rabbi. It’s an endearing term. Jesus is her teacher (and ours). Now she gets its, at least a part of it. Jesus lives! In our text, Jesus says do not hold on to me for I have not yet ascended to the father, but the original text here suggests that one should stop doing what one is doing. This implies that Mary is hold on to him, hugging him like we might hug someone we loved but thought we would never see again. Mary is worshipping Jesus, in the flesh. He is not some untouchable ghost. Mary’s response to Jesus’ resurrection is similar to what happens in the third book of Dante’s Divine Comedy. You’ve probably heard of Dante’s Inferno. It’s the most famous of his Comedies. This is a comedy in the classical sense (kind of like Shakespeare’s plays or the Book of Job) where tragedy turns out well in the end. In the last book, Paradise, Dante makes it to heaven. And there, he’s not given an explanation to his questions, or told why he had to take a torturous journey. Instead, in the presence of God, he has no ability to ask questions. He can only worship. Mary grabbing Jesus and calling him Rabbi is her worship. Of course, worship isn’t just adoration, it is also work and Jesus has a task for her and sends her on her way. If you haven’t encountered Jesus, listen to this story, to the messages of this book. 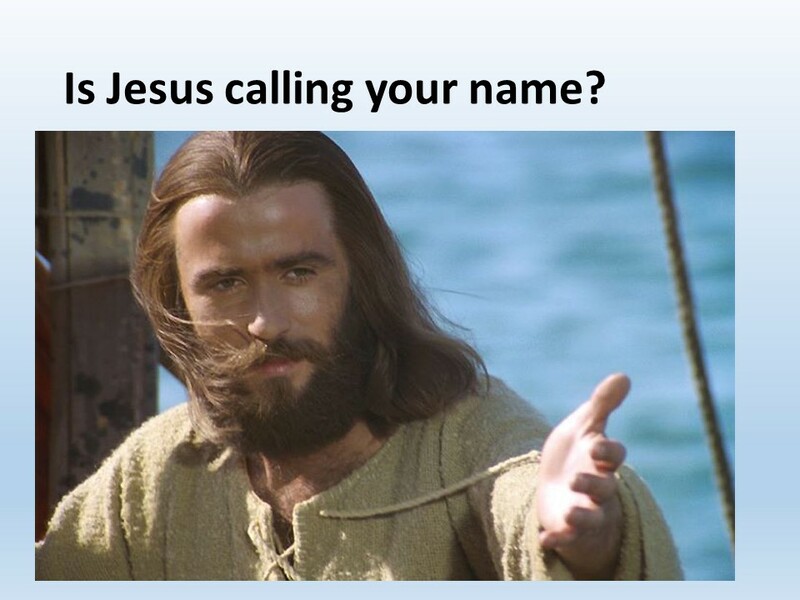 Is Jesus calling your name? Pray and be prepared to be surprised. This was not what Mary or the Disciples were expecting this morning. They were pleasantly surprised. And when we encounter Jesus, we should feel like Mary, a desire to worship, but we should also realize that Jesus calls us to do his work in the world. There is something he wants us to do, not to earn our salvation, but to build his kingdom. Jesus died, but lives. He ascended to the Father, but he also lives in us. Are we doing our part to reflect his beautiful face of love to the world? Amen. Frederick Dale Bruner, The Gospel of John: A Commentary (Grand Rapids: Eerdmans, 2012), 1151. M. Craig Barnes, The Pastor as Minor Poet, (Grand Rapids: Eerdmans,2009), 110.